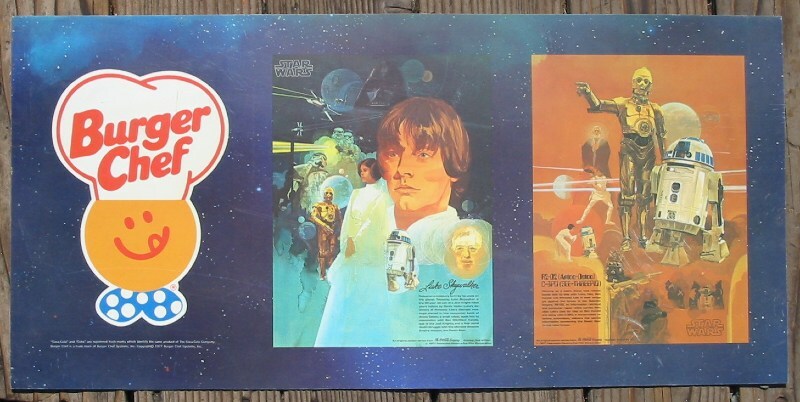 Among the earliest, if not the earliest (September, 1977), fast food promotions for Star Wars was a set of four posters given away at Burger Chef restaurants in 1977. This pair recently surfaced in Ohio, and to my knowledge is the only set known to exist. The clipped corner on the second translite was a mystery until I happened upon a period image of a Burger Chef from the mid-70s -- apparently, the dark translite wouldn't allow for a price to be attached and still be transparent, so the corner was likely clipped to accommodate this need. 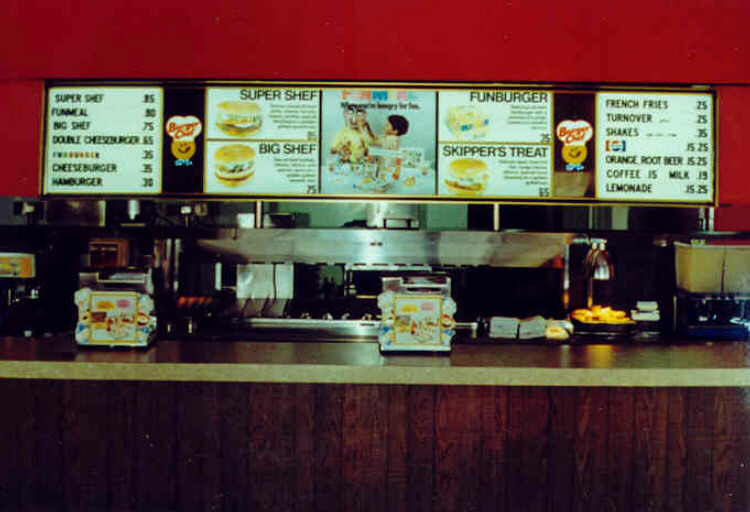 Finally, it is interesting to note that upon close inspection of the poster images depicted, the Burger Chef name is not included as is usually the case. This may suggest that those posters without the name were the first available. Each translite measures 13.5" x 28.5".